The Russian-built AngoSat-1 communications satellite launched into orbit on December 26 has not shown any signs of orbital activity and will drift out of range of ground control stations before any additional troubleshooting tasks can be attempted. Communications from the satellite had been lost temporarily shortly after the craft arrived in orbit above the equator and satellite builder RSC Energia said it planned to resume flight test activities in mid-April when the satellite drifts back into communications range. 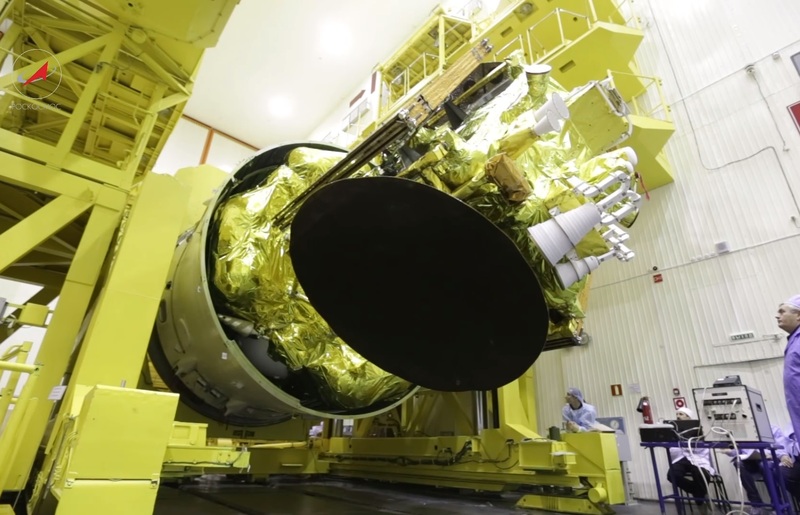 The 1,647-Kilogram satellite overshot its planned orbital position last week and has not exhibited any orbital changes since being launched. 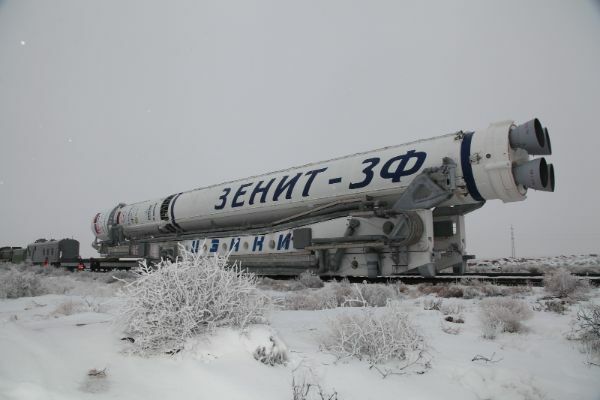 AngoSat-1, built by RSC Energia for the government of Angola, lifted off from the Baikonur Cosmodrome atop a Russian-Ukrainian Zenit rocket at 19:00 UTC on December 26. The initial boost provided by the two-stage Zenit rocket was smooth and the Fregat-SB upper stage – tasked with a climb directly into Geostationary Drift Orbit – performed as advertised and deployed the satellite eight hours and 55 minutes after liftoff. 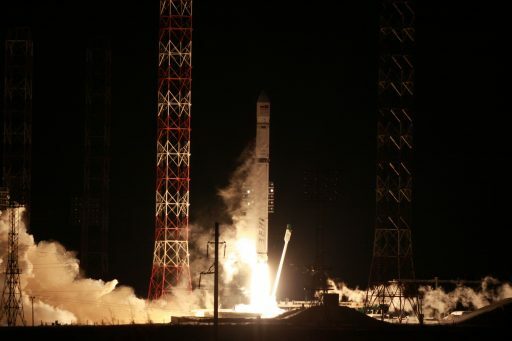 Roscosmos confirmed the satellite had separated successfully and began its own mission, planned to last 15 years to deliver TV and telecommunications services to the African country. Press reports emerged later on December 27 that contact with the spacecraft was lost while the two power-generating solar panels were deploying – leaving uncertainty on the power state of the newly launched satellite. According to Izvestia, communications with the satellite ceased after 42 minutes but data gathered that far had shown AngoSat was keeping its orientation stable and the two arrays had deployed, giving teams at least ten to sixteen hours to recover the spacecraft. RSC Energia confirmed on December 29 that communications with AngoSat-1 had been restored and all onboard parameters were normal, allowing them to proceed with the initial checkout and commissioning of the satellite. 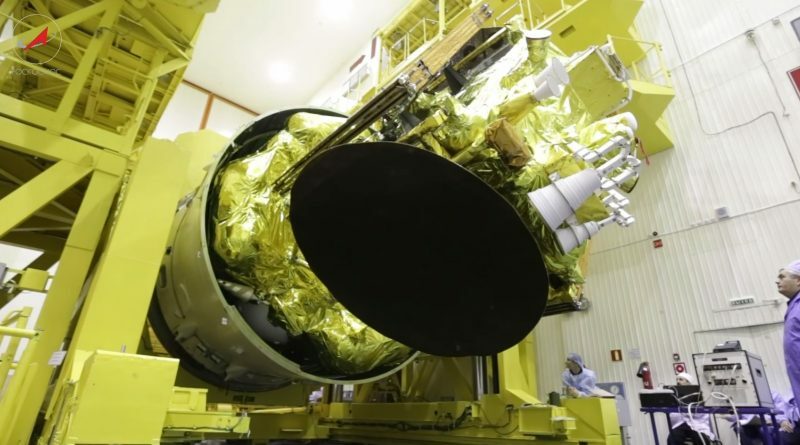 The Russian Interfax news agency reported on December 30 that the loss of communications was caused by a compatibility problem between the data coming from a French-built component on the satellite and its onboard control system designed and built in Russia. Other reports pointed to a power failure that caused the satellite to temporarily deplete its batteries and lose power entirely before the batteries could be re-charged via the arrays. Orbital tracking data collected by the Joint Space Operations Center showed the AngoSat-1 satellite in an initial orbit of 35,963 x 36,115 Kilometers, inclined 0.06° – a typical drift orbit slightly above GEO with the satellite traversing around three degrees to the west each day. The plan for AngoSat-1 was to continue drifting until approaching its operational position at 14.5 degrees east at which point the satellite was expected to fire up its Stationary Plasma Thrusters to reduce its orbit by approximately 252 Kilometers (mean altitude) and enter a stable GEO. On January 5, the Russian ambassador to Angola, Vladimir Tararov, is quoted as saying all systems aboard the satellite were operating as planned. However, on January 9, the satellite’s westerly drift took it across the 14.5°E longitude where it was supposed to stabilize to finish commissioning in preparation for entering service. No maneuver occurred and the satellite continued moving west with no changes whatsoever to its orbital parameters. AngoSat-1 passed the prime meridian on January 13 and, as of orbital data from Sunday morning, continues at an unchanged longitude drift rate of 3.2 degrees per day. This will move the satellite out of reach from Russian Ground Stations in just over a week’s time. RSC Energia issued a press release on Monday, informing that company specialists, through available telemetry, were able to diagnose the problem within the Electrical Power System of the satellite. The company noted that work was ongoing in preparing a series of tests to be performed on the satellite; however, it was decided to keep the satellite in its present orbit and wait for it to make its way around the planet and re-appear in communications range in mid-April to provide sufficient time for troubleshooting steps and avoid invasive operations and maneuvers close to the edge of the ground station’s visibility zone. 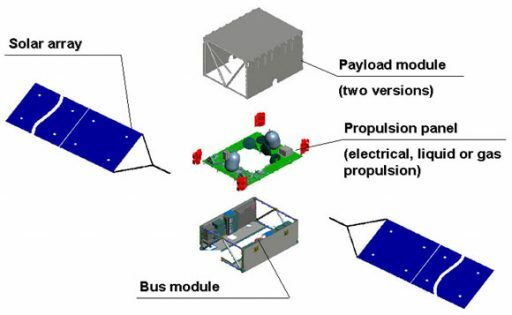 RSC Energia also cited a responsibility toward other satellite operators in their reasoning behind deferring any maneuvers in order not to endanger any other space asset in case of a problem when maneuvering. AngoSat-1 will be no danger to active satellites in Geostationary Orbit while making its way around Earth, drifting west in an orbit varying from 177 to 329 Kilometers above the ideal GEO orbit. This orbit is well clear of any operational satellites, it does however infringe upon the GEO Protected Region that stretches from to 200 Kilometers below to 200 Kilometers above the GEO Belt. 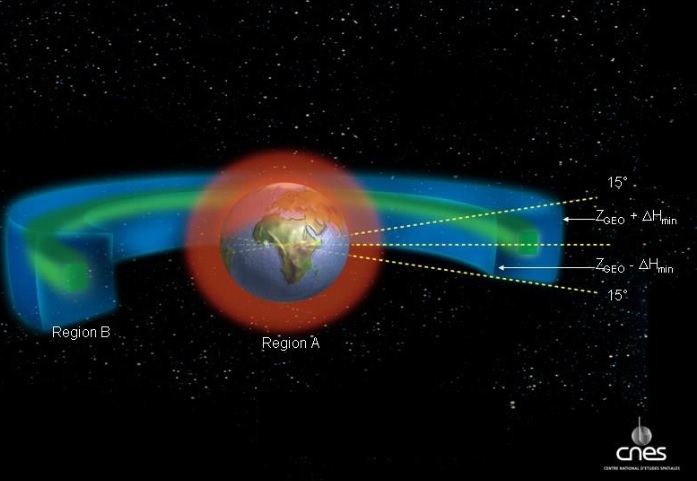 Should no maneuver be possible, Earth’s gravitational field will cause a gradual increase of the satellite’s orbital inclination, the first signs of which are already evident as the inclination steadily climbed by 0.03° since AngoSat launched (an almost perfectly linear progression of this increase further underlines the satellite’s inactivity from a propulsive point of view). The Fregat SB upper stage from this launch is in a 35,874 by 36,772-Kilometer orbit, 0.21° after completing a post-separation boost into a graveyard orbit. Unfortunately, the perigee of its final orbit also dips into the GEO Protected Zone, even further than AngoSat’s orbit. 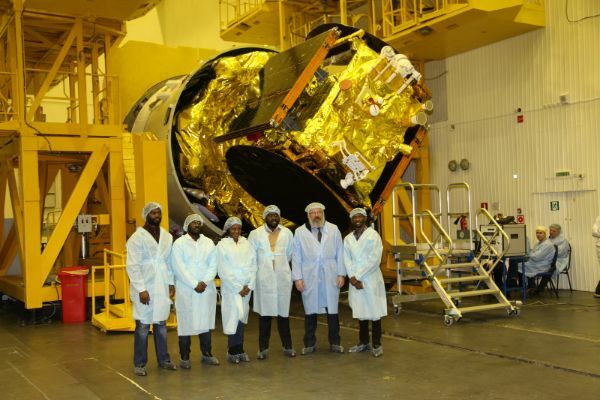 AngoSat-1 is based on Energia’s Universal Satellite Platform (USP) and hosts a hybrid communications payload built by Airbus Defence and Space, comprising 16 physical C-band and six Ku-band transponders to deliver TV broadcasting and telecommunications services to Angola as the African nation’s first owned geostationary satellite. SP flew on four Yamal commercial communications satellites in 1999 and 2003, has since undergone modernization, and is now used by the Tundra missile warning satellites and Geostationary Communications craft. Yamal-101, launching together with Yamal-102 on a Proton rocket in 1999, experienced a failure in its electrical system at the time of solar panel deployment – a very similar pattern of what was seen on AngoSat 1 if press reports hold true. Launched in 2003, Yamal-201 failed ten and a half years into its expected 12.5-year service life. 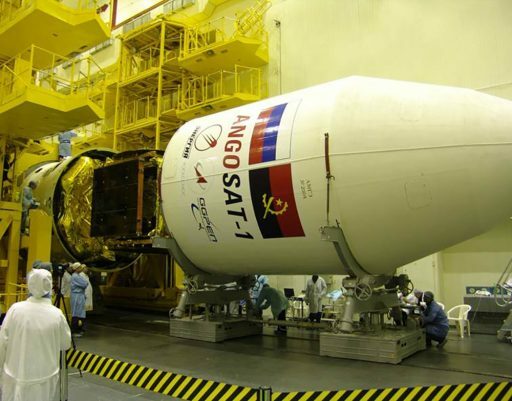 According to the Russian Tass news agency, AngoSat 1 has been insured for $121 million with two insurance agencies.